Stainless steel case with a two-tone (silver-tone and rose gold-tone) stainless steel bracelet sert with crystals. 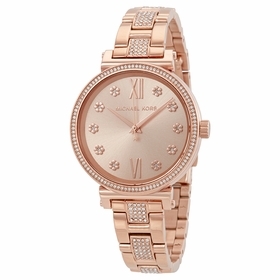 Fixed stainless steel bezel with a rose gold-tone ring set with crystals. 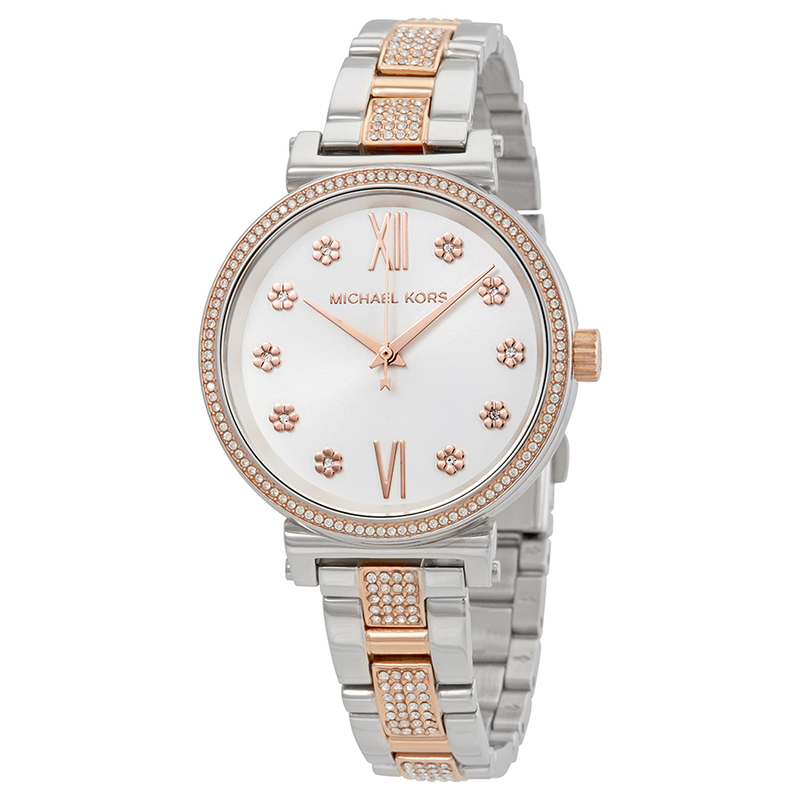 Silver dial with rose gold-tone hands and crystal hour markers. Roman numerals mark the 6 and 12 o'clock positions. Dial Type: Analog. Quartz movement. Scratch resistant mineral crystal. Pull / push crown. Solid case back. Round case shape. 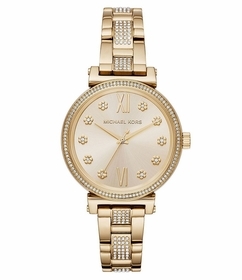 Case size: 36 mm. Case thickness: 8 mm. Band width: 14 mm. Fold over clasp with a push button release. Water resistant at 50 meters / 165 feet. Functions: hour, minute, second. Additional Info: in general, suitable for short periods of recreational swimming, but not diving or snorkeling. 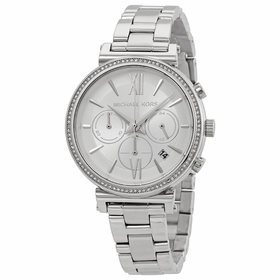 Michael Kors Sofie Crystal Silver Dial Two-tone Ladies Watch MK3880.